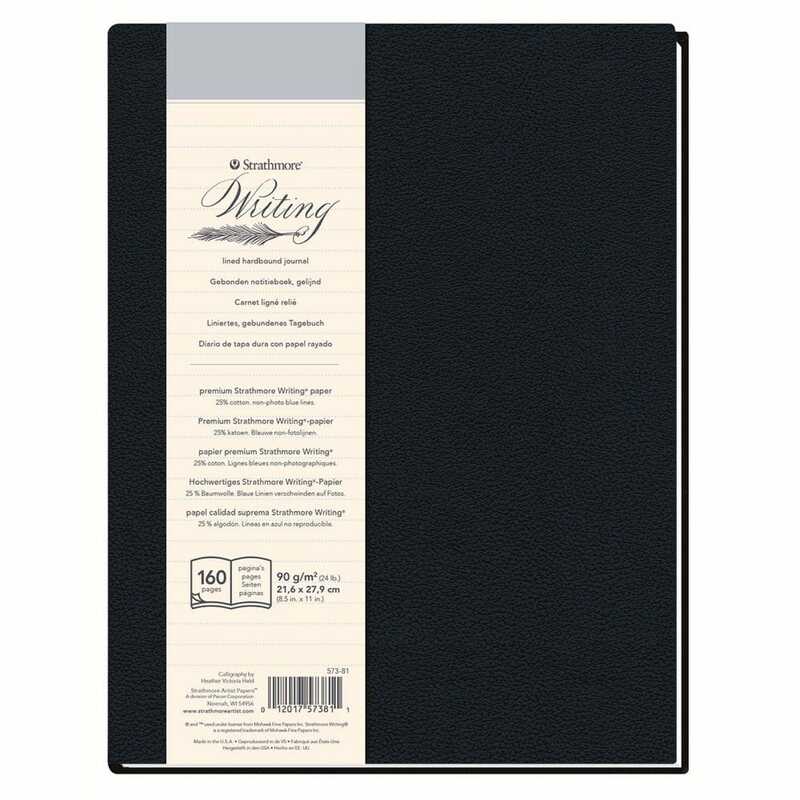 The Strathmore premium hardbound writing journal gives you the ultimate handwriting experience, with its non-photo blue lines that disappear when scanned or photographed and the high quality Smyth-Sewn binding of 80 90gsm soft white pages. This is a perfect journal for a wide variety of handwriting projects and perfect for a broad range of ink varieties and writing instruments. A bit about the brand: The Strathmore brand name began to appear on our fine art papers in 1899, first with Charcoal and soon after with Bristol. The Strathmore brand quickly became known as one of the highest quality art papers used by many leading artists around the world. Strathmore has kept this reputation as a supplier of fine art paper for over a century. Today, we continue to provide artists of all levels with the ideal surface for producing beautiful works of art.